The jerseys will be available for purchase on the day of the ride for $80 each. 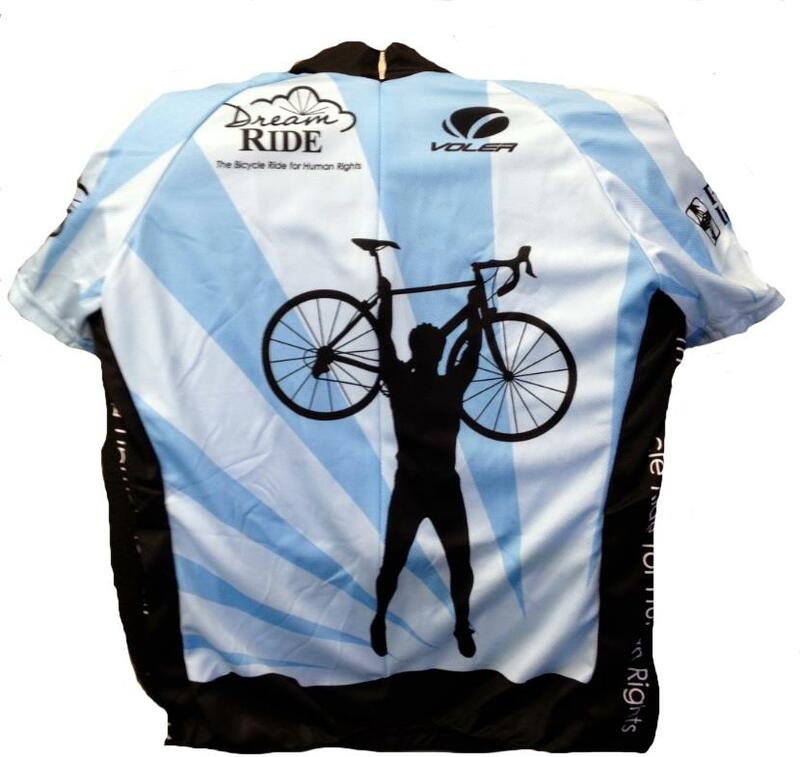 We have men’s sizes S, M, L and XL, along with women’s sizes S, M and L. Each jersey features our signature artwork, as well as the Partner’s in Health logo. We also have them for sale from our web store. From the registration page, simply select the Jersey item you want (if you won’t be participating in this year’s ride, you can still purchase a Jersey – we’ll ship it to you for an extra $10). Please indicate the size you want as you complete the order. Posted in News	| Comments Off on 2012 Jerseys are Here! Today Dr. Paul Farmer, the co-founder of PIH, the NGO the 2012 Dream Ride will support, wrote an op-ed in the New York Times explaining why supporting health care around the world is important. Check it out. 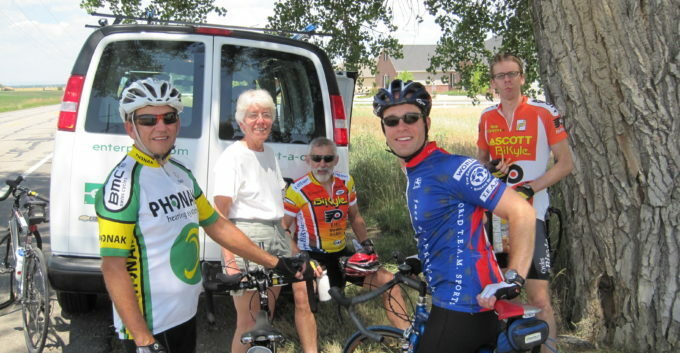 And then join the 2012 Dream Ride to contribute providing each person the health care they deserve. The 5th annual Dream Ride is dedicated to improving the quality of life in the developing world through the power of quality health care. All proceeds will be donated to Partners in Health. You can learn more about PIH and what your money can do on our Cause page. Each ride is capped at 50 riders. A preview of the routes has been posted. As always, fundraising beyond the base registration fee is highly encouraged. Consider asking others to commit a sponsorship amount per mile you ride. The further you ride the greater your impact! Donations are tax-deductible. Special incentives will be offered for riders who raise money beyond the registration fee. News updates will be posted here as we get closer to the event, with registration opening soon. 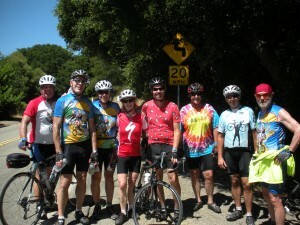 The Dream Ride team is looking forward to seeing you in August! We just wanted to send you a brief note to announce our 2011 fundraising total: $11,100 was donated to CARE’s Power Within Program. CARE will use these funds to bring education to women throughout the developing world. To all of our riders and volunteers who participated this year – thank you – we couldn’t have done this without you. If you have a few minutes to spare, we’d appreciate it if you could take a brief survey for us. By taking this survey, you’ll help the Dream Ride organize better and higher impact events going forward. The information in the survey will be used to improve our advertising campaigns, as well as to attract relevant corporate sponsors. Finally, you can follow the Dream Ride on Facebook and on Twitter. The start and finish lines will be at Lafayette Community Park, 480 St. Mary’s Rd. (plenty of parking is available at the park). The park is conveniently located only 3.5 miles away from BART. Check-in is 7:00am – 9:00am. We urge century and slower riders to get an early start. Breakfast will be provided at the start, and rest stops will be stocked with refueling drinks and snacks. The course closes at 5:00pm. The event will conclude with a post-ride celebration meal at the park. For the route: Starting in Lafayette, CA, the 50k will head North along the San Pablo Reservoir and skirt around the Eastern side of Briones Regional Park. The 100k will venture South into the foothills of Mt. Diablo before heading West through the canyon and coming back up Redwood. The century will combine both the 50k and 100k courses with an added climb into the Berkeley hills to round off the 100 miles. Once again, we will be supporting CARE International’s outstanding Power Within program, benefiting women’s education throughout the developing world. Fundraising beyond the base registration fee is highly encouraged. Consider asking others to commit a sponsorship amount per mile you ride. The further you ride the greater your impact! Donations are tax-deductible. Participants who raise $200 by July 9th will receive a commemorative Dream Ride Jersey.